Last Friday was Will and Anna’s last day of school for the holidays. 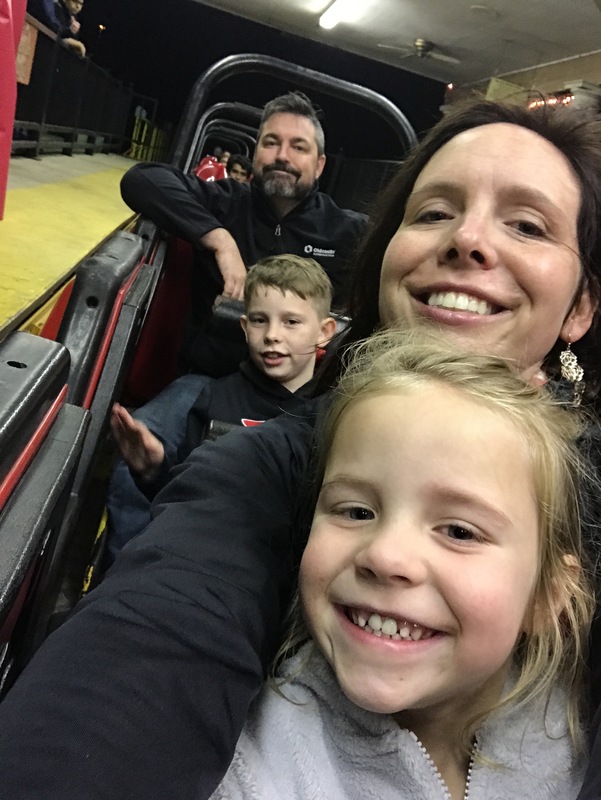 We celebrated with another trip to Six Flags Holiday in the Park. Anywho…enough about me justifying how much we spent on it all. We had a BLAST! The kids are both old enough to ride a lot of the rides. The first one we rode was the bob sled. I’m not sure what it’s technically called now but I had forgotten how fun it was. Check us out….Garen looks excited, right?!? He hung in there and rode all of the rides with us even though he gets motion sickness. I’m not sure if that’s true love or insanity…I’m going with love! Auntie Em and Uncle Brian joined us too, which was totally fun! Yes, that is a double chin you see on me. I may have been enjoying the holiday food and the Six Flags meal pass a little too much… Of course, they say the camera adds however many pounds. Excuses, excuses! 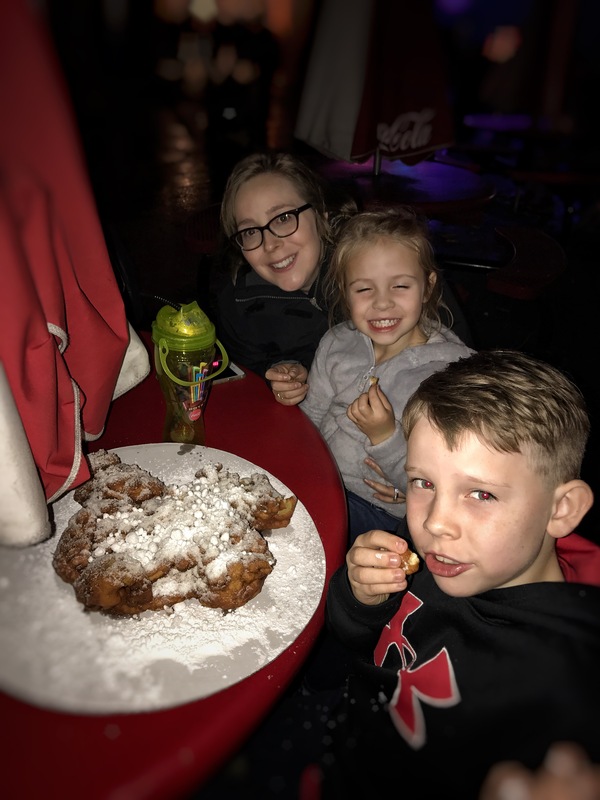 Speaking of food… Uncle Brian enduldged all of our cravings for a funnel cake by buying a Texas sized (and shaped) one at the end of the night. We didn’t even finish half of it. Everything is bigger in Texas. As you can see, Anna was exhausted by the time the park was closed at 10:00. (Their normal bedtime is 8:00 and 8:30, respectively.) On top of that, they had early-release from school, so they did a field trip with pizza and a trip to the trampoline park. Shockingly, we didn’t even make it out of the parking lot before Anna fell asleep and Will was out a few miles down the road. We had a great time! 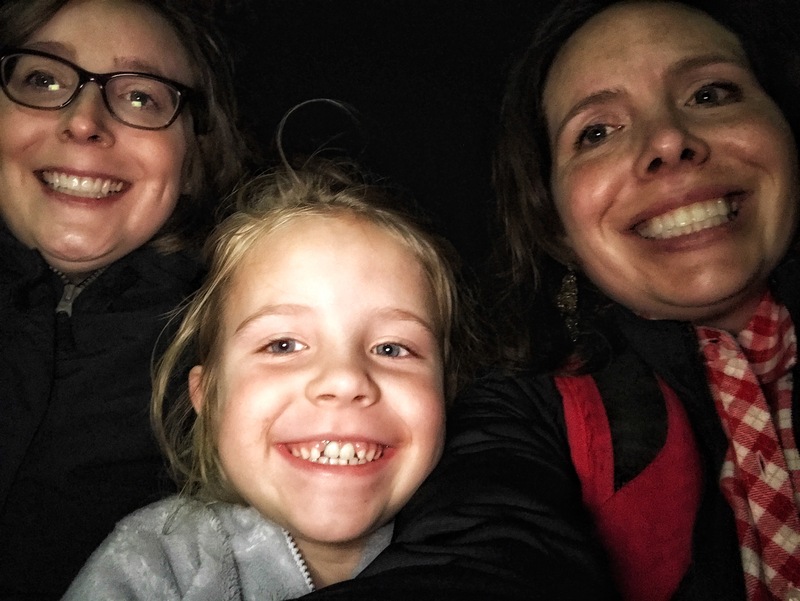 The hot chocolate was tasty, the Christmas music was fun, the millions of lights were beautiful, the weather was nice, and the lines were surprisingly short. What more could you ask for from a trip to Six Flags?